Hi everyone, it's Alison with you today from Words and Pictures with a very literal but quirky take on the theme. As soon as I read the topic title, the only thing my brain would consider was an actual box of eggs... and I've found it's better to yield to my imagination when it get holds of something, rather than to try and fight it. 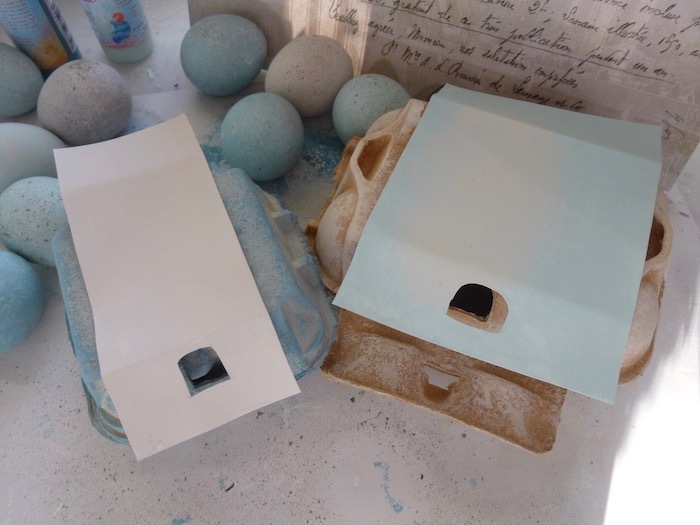 So here are two boxes of eggs for you, created with some of Courtney's gorgeous new Fresco Finish Chalk Paint colours. They've made their way straight into my top 20 Fresco colours, no question! I then had a lovely time layering up the palest of Courtney's new colours, using a natural sponge to apply them. 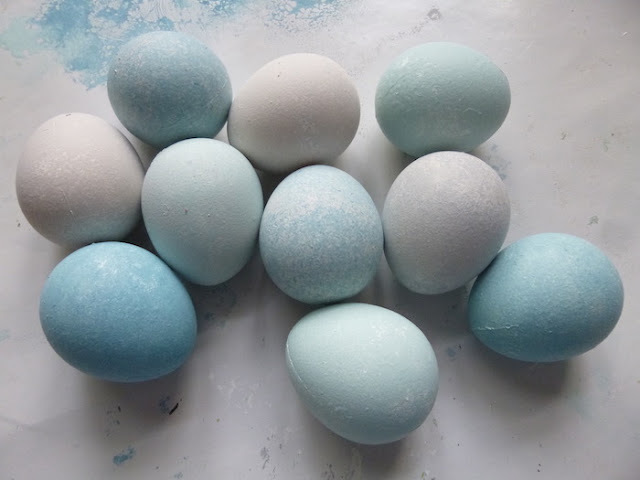 ... but most have at least two if not three colours sponged delicately over them to create the natural colour variation you find in eggs. Surf's Up worked beautifully to add a touch of "duck egg blue" to both the Seaglass and the Eggshell versions, and Koala was perfect for adding a slightly darker shadowing to some of the eggs. 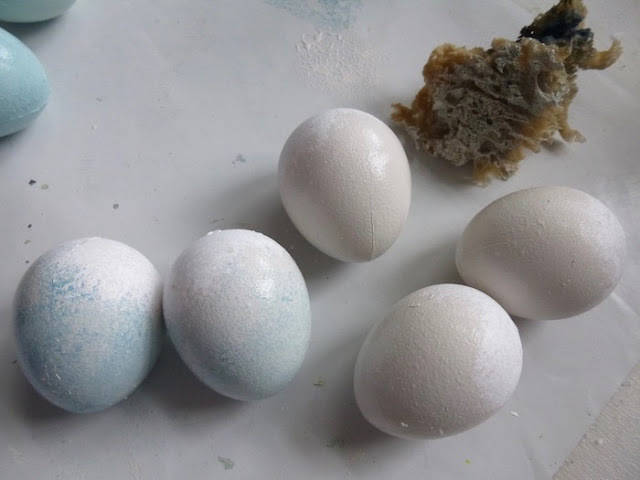 I then used an old toothbrush to flick some Taupe onto the eggs for that mottled, speckled look. I love how this brings them zinging to life. 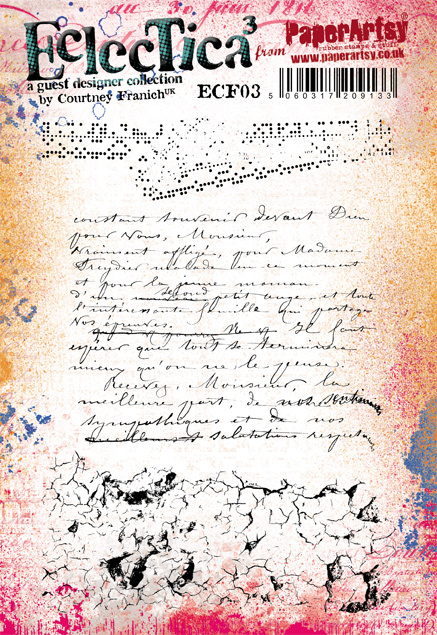 As you know, I love my spatter, and I'll admit I got a little carried away here! You should have seen the craft mat by the time I'd finished. I had thought of adding some extra texture using stamps at this point, but I decided I preferred my eggs au naturel. However, eggs need eggboxes, right? So the crackled stamp from Eclectica³ Courtney Franich 03 which I'd thought of using on the eggs (cracks on an egg... an irresistible connection) made its way onto the eggboxes instead. 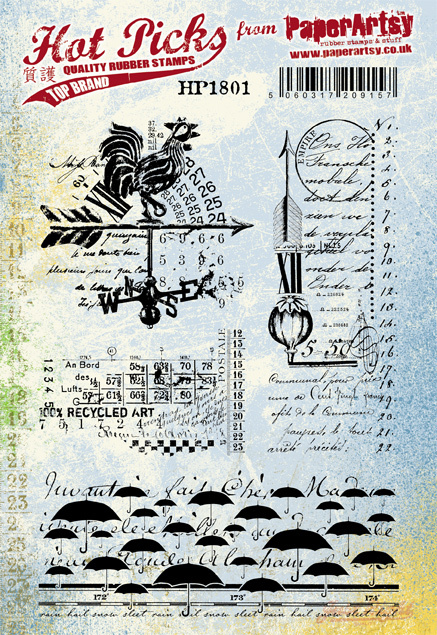 I created the labels with stamps from the new Hot Picks 1801 set. 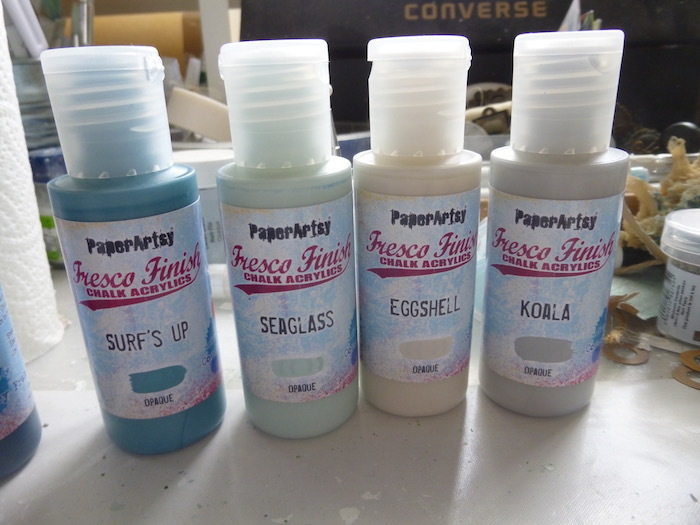 I used the original labels as templates to cut my card and sponged on some more of the Eggshell and Seaglass paints. 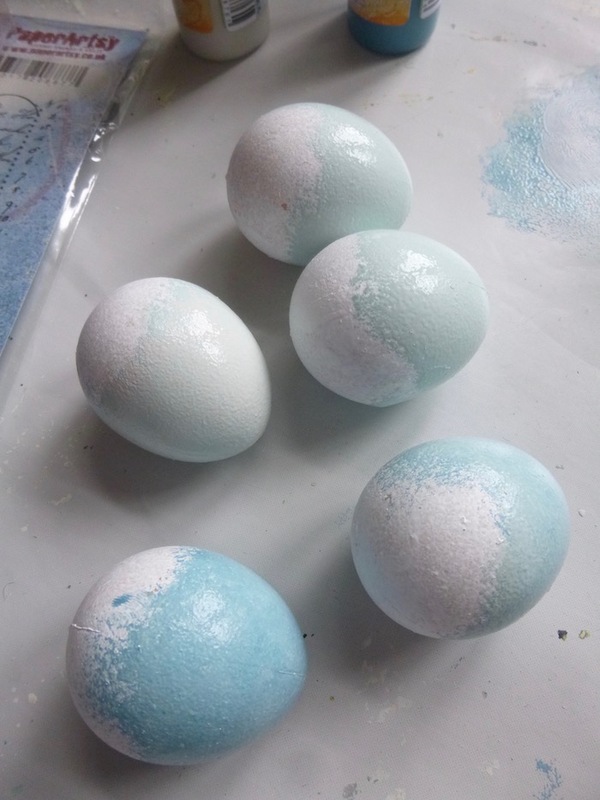 I also used the Eggshell to liven up the cardboard boxes themselves. The cockerel was perfect for a box of eggs, so he was a simple choice. I added some extra text around him and the word stickers tell you all you need to know about this particular creative process. 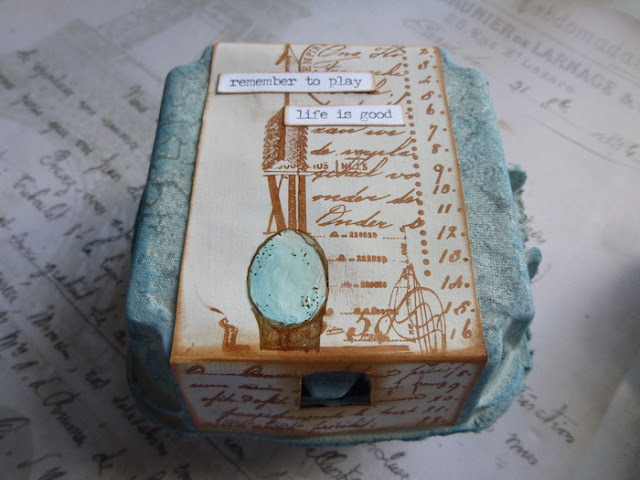 ... became an egg, with the help of a little paint and penwork. Okay, it's not perfect, but then imperfection is to be embraced, no? 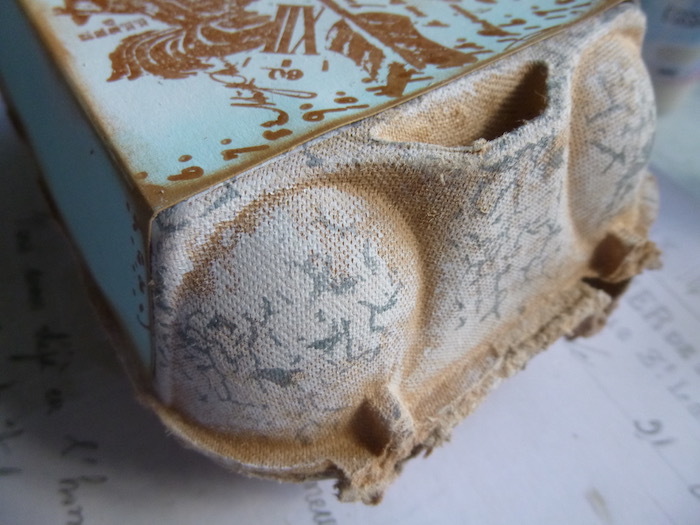 And I love the added imperfection of Courtney's great cracks and crannies stamp all over the eggboxes. I used Hickory Smoke Archival, so they're fairly subtle, but they add just the right extra interest to the background, I think. So there you have it... some of Courtney's new Box of Eggs colours used to create an actual box (or two) of eggs. 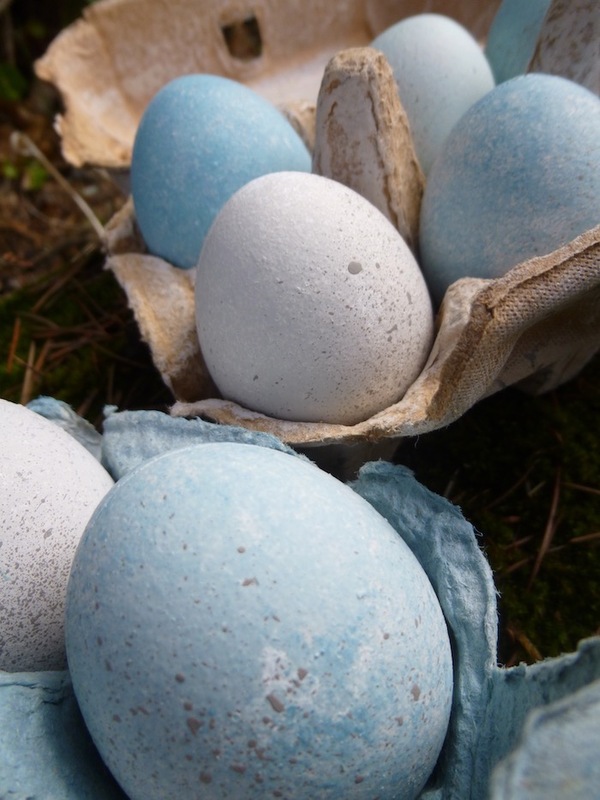 I know we're a long way from Easter, and at first I was a little concerned at how my mind was fixated on these eggs. But as I was playing, I found that my mind knew exactly what it was doing. There are all sorts of big plans being put into action just now for me, new ventures and possibilities opening up... some of them still very much in the shell, but some of them with definite signs of hatching. So sometimes you do just have to "trust your crazy ideas", and you find that maybe they're not so crazy after all. 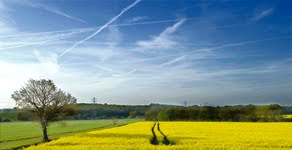 Having said that, how perfect will these colours be for home decor projects come the spring and Eastertide? 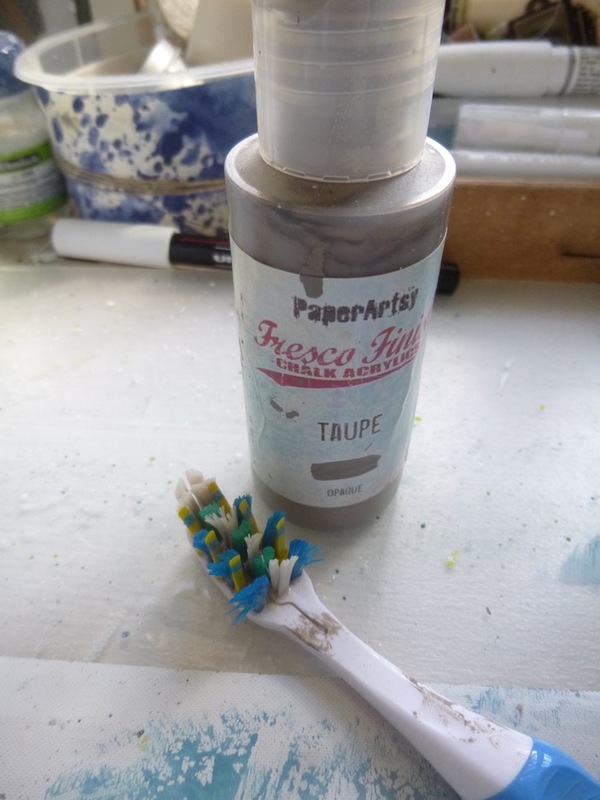 And in the meantime, they're a fabulous addition to the Fresco Finish Chalk Paint range for all sorts of neutral, pastel, gentle projects. You'll definitely be seeing them in action round my way a lot. Thanks so much for stopping by, and I hope you had as much fun as I did. Fab project Alison, really like the crack stamping on the boxes, and of course your altered seed head. I can't blame Alison for being literal with the theme, I haven't come up with anything, a complete dearth of imagination although I love these colours! Alison's eggs and boxes are lovely though, rather real looking, bluer-than-nature egg colour excepted! wow - stunning! They actually look so realistic! Fun project and so creative. 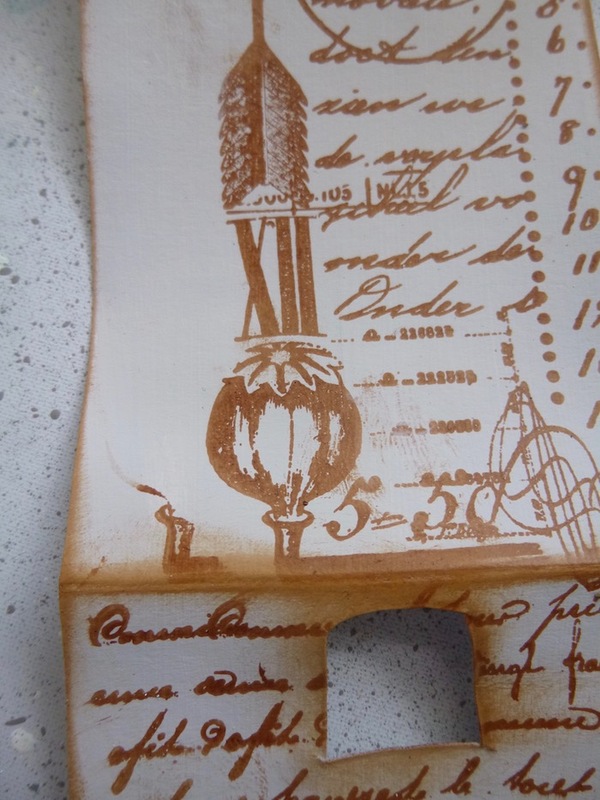 Loving the new paint colours and a fun idea with the wrapping and the crackle stamp. Fabulous inspiration, thank you x. Absolutely brilliant Alison! The texture and colours you created on those eggs are perfect, and I love the boxes! This is fantastic Alison! 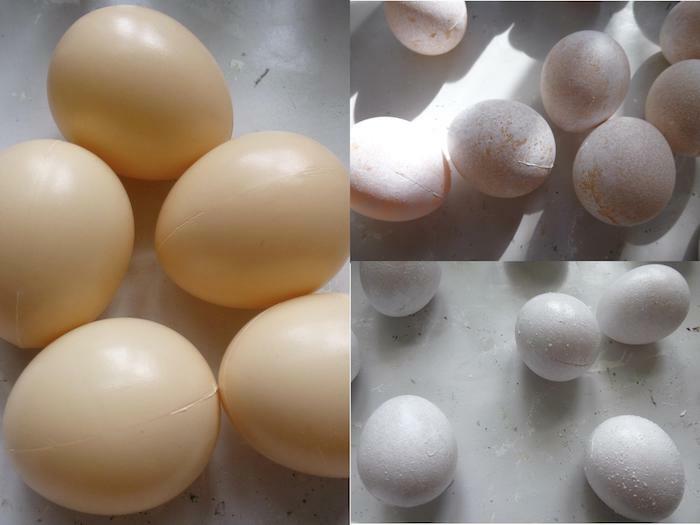 Your plastic eggs look so real! Wonderful made! 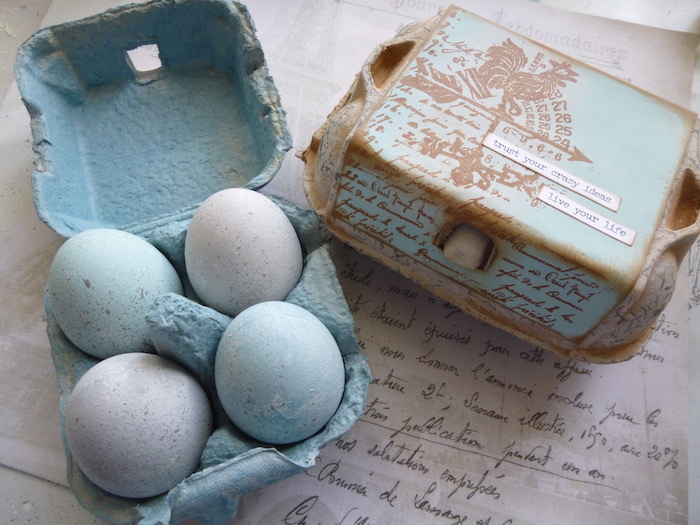 Lovely eggs and so clever with the stamps on the boxes. 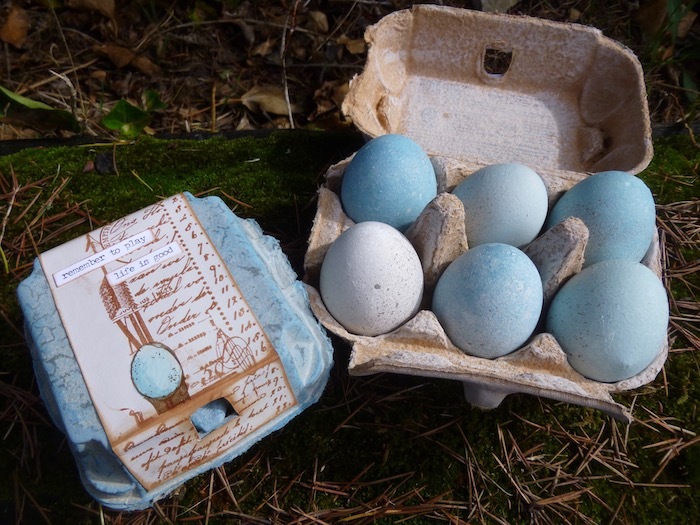 Gorgeous in every way, I love your boxes , too, and the beautiful eggs, so natural looking with the created speckles , in the lovely tones. Always something special from you, dear Alison. Those are beautiful and I now want my kitchen repainting in those colours so that I can have some of those eggs on display. A fab project Alison. Love it! Reading this in Australia, where it is Spring right now, this feels right on topic... 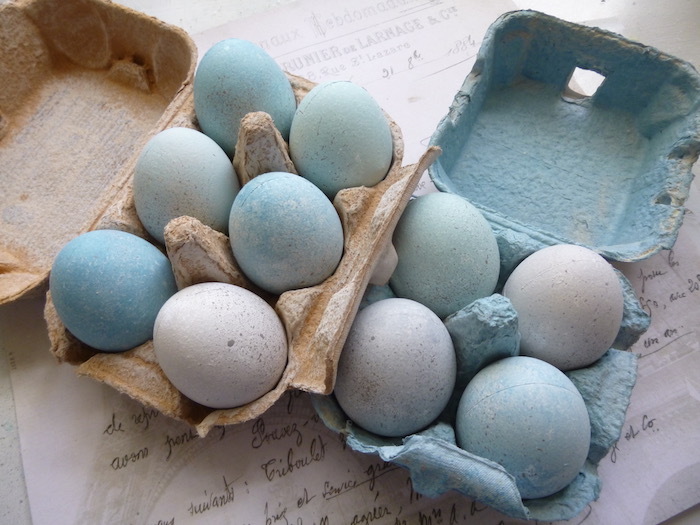 Both the eggs and the boxes look fantastic, and fabulous new colours!!! Both the eggs and the box are beautiful! 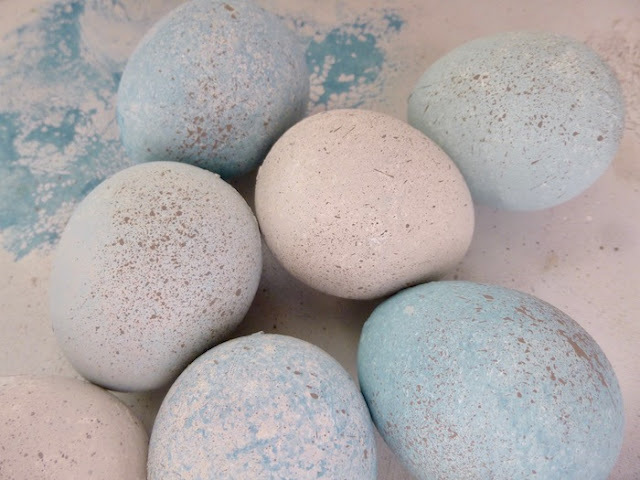 I love the textures and the soft colours of the eggs: spring in autumn: a brilliant idea! Such a great look you have created here! 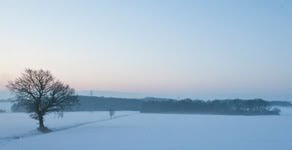 but ever so soft with the Great colors!! OMGosh! 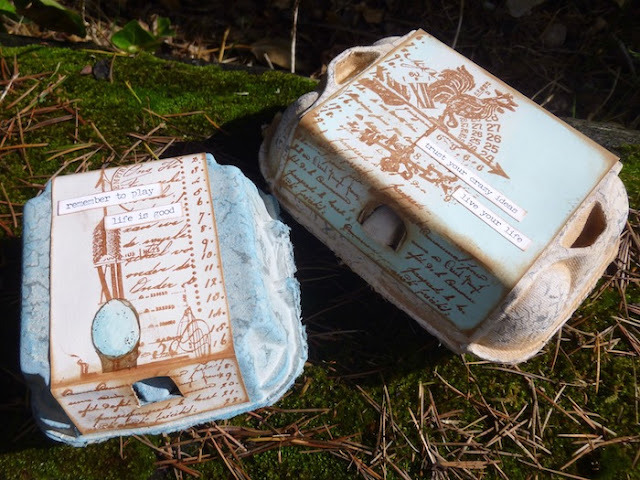 How lovely it would be to open the fridge each morning to see this gorgeous designer box of eggs! Alison just brought new heights to everyday food product containers! You always amaze me Alison - those eggs look real!!!! 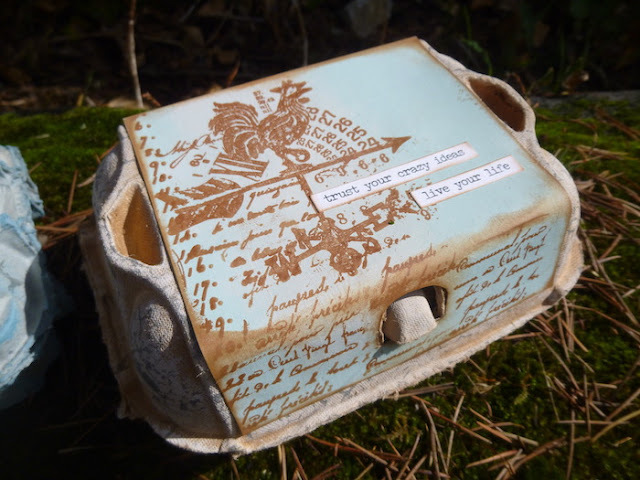 And of course your egg boxes are treasures! 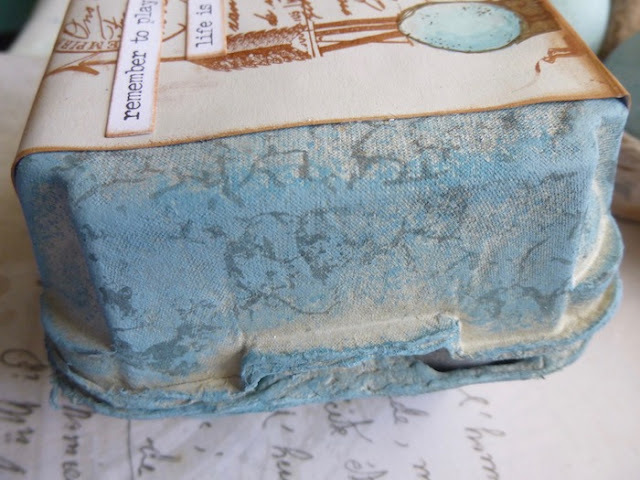 A really lovely project, Alison! !